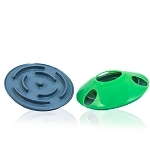 Currently sold out of blue and green. 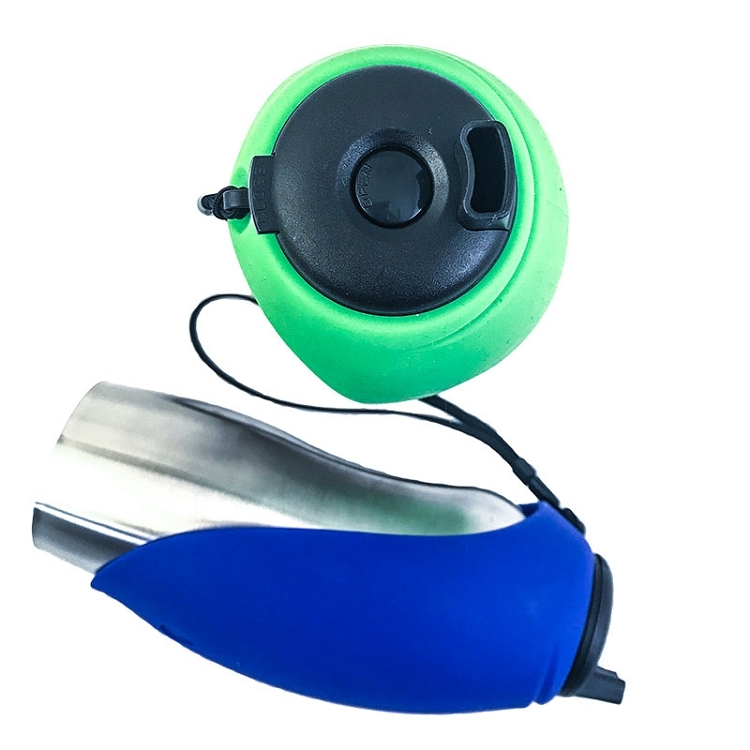 Keep your dog hydrated on walks of any length with the Fold-A-Bowl Pet water Bottle. 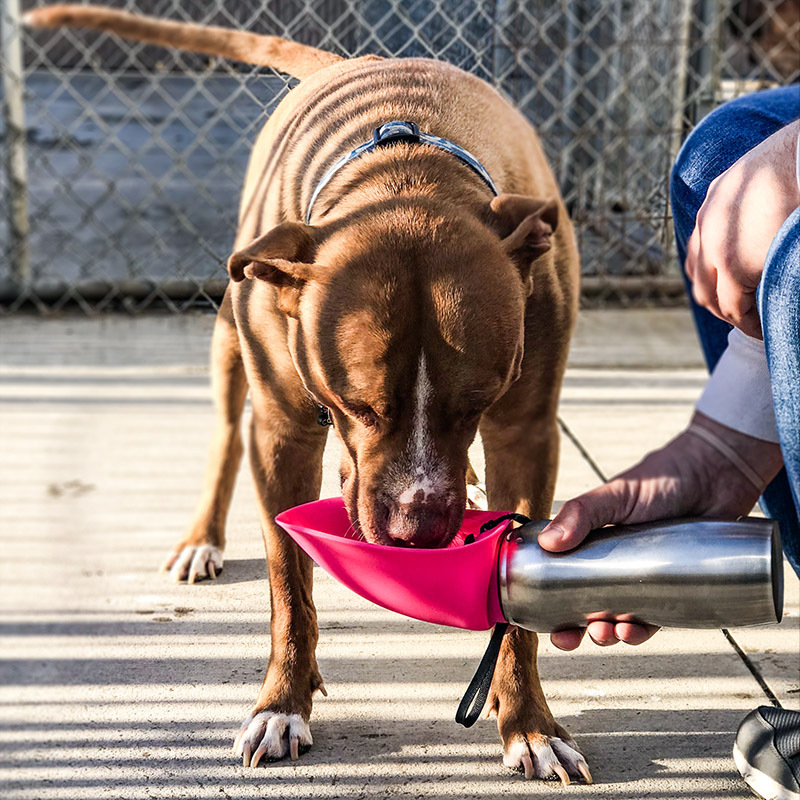 A 24-ounce stainless steel bottle keeps fluids cool and includes a useful wrist strap that allows you to both hold the bottle and a leash. 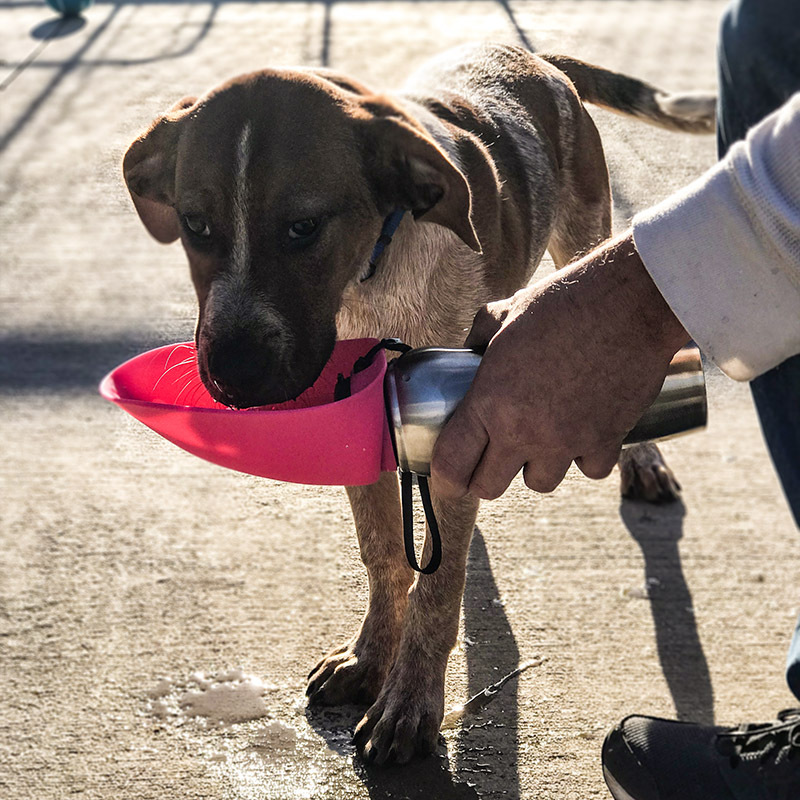 A food-grade silicon cover folds up to create a water bowl â€“ simply open the push button closure and poor water directly into the bowl! 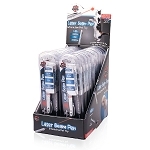 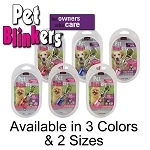 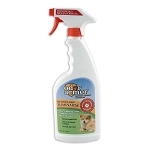 The closure can be snapped shut, allowing you to hydrate your dog multiple times per walk. 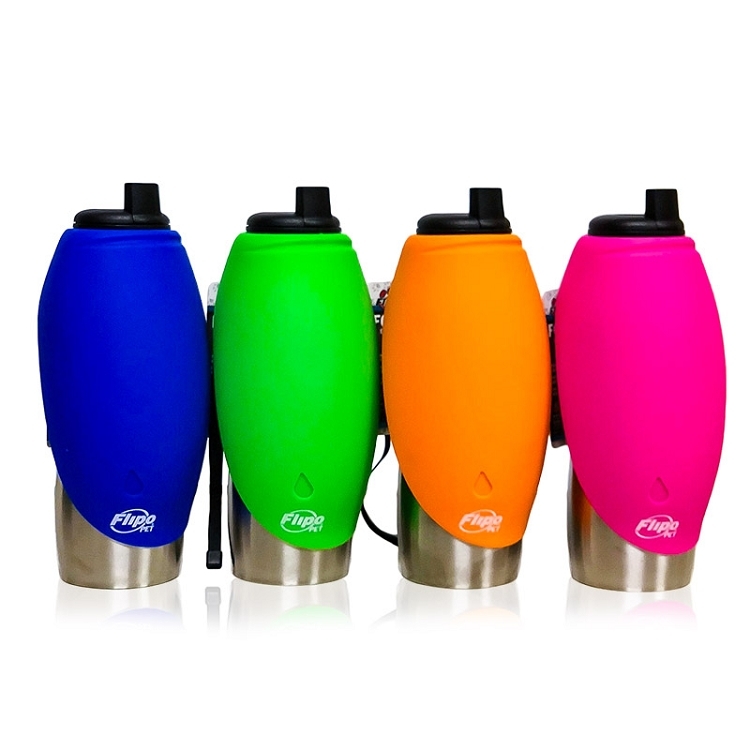 The conveniently integrated bowl allows you to only carry the bottle and ensure water wonâ€™t be spilled or wasted. 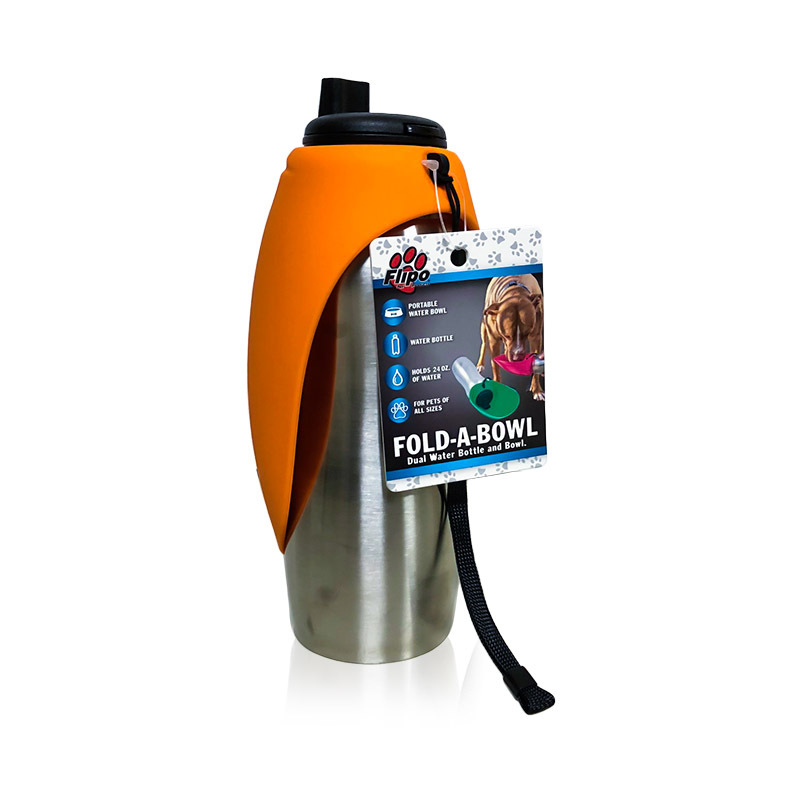 Available in green, blue, orange, and pink, the Fold-A-Bowl is the perfect companion for any dog walk. 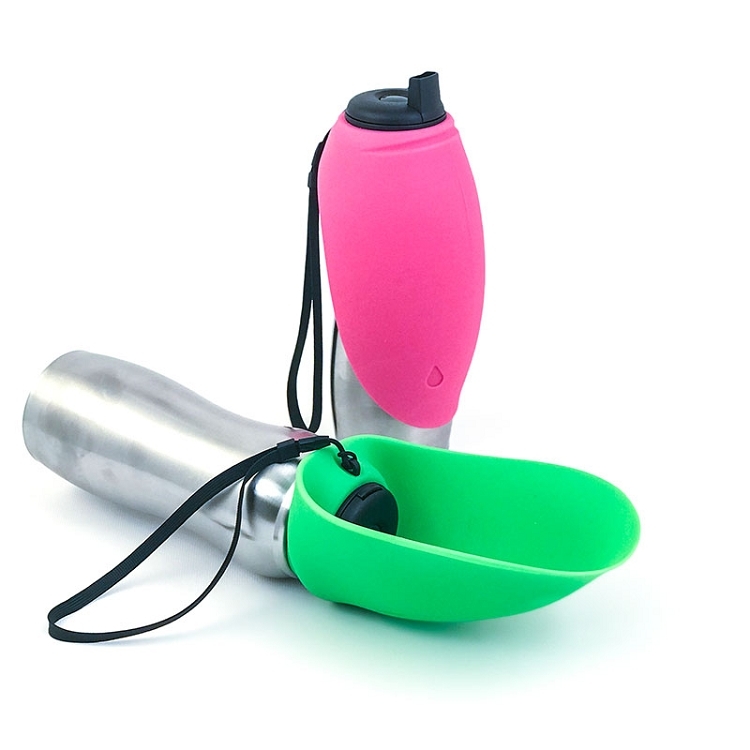 Removeable, foldable, silicone water bowl for easy cleaning.